1. Preheat oven to 350°F. Grease and flour 2 (9-inch) round cake pans. Mix flour, baking powder, ginger, baking soda and cinnamon in medium bowl; set aside. 4. Fill and frost with Creamy Gingerbread Frosting. Refrigerate cake until ready to serve. 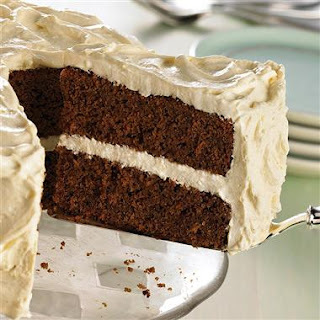 Creamy Gingerbread Frosting: Pour 1 cup milk into medium bowl. Add 1 package (4-serving size) vanilla instant pudding mix, 1/2 teaspoon McCormick® Ground Ginger and 1/8 teaspoon McCormick® Ground Cinnamon . Beat with wire whisk 2 minutes. Gently stir in 1 tub (8 ounces) frozen whipped topping, thawed.